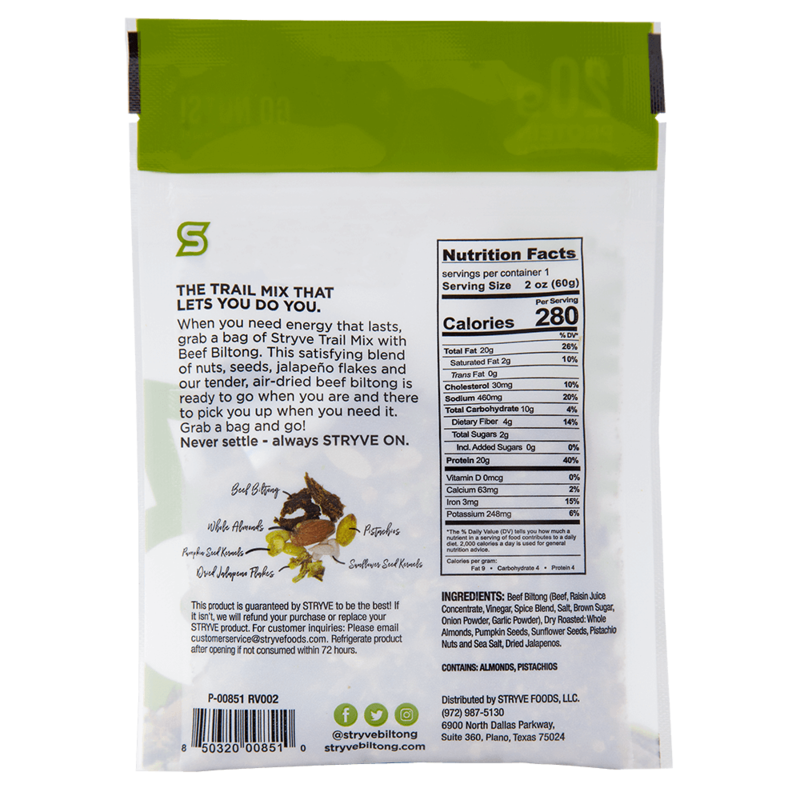 Spice up your day with a bag of Jalapeño Trail Mix! 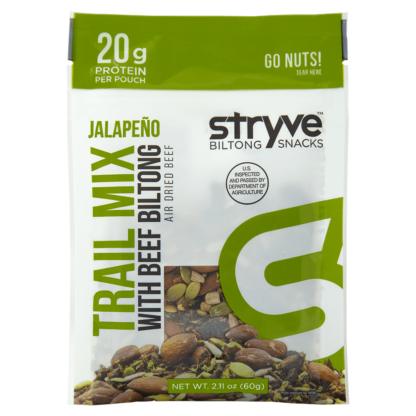 Each handful will satisfy your flavor cravings with tender biltong, whole nuts and real pieces of jalapeño. 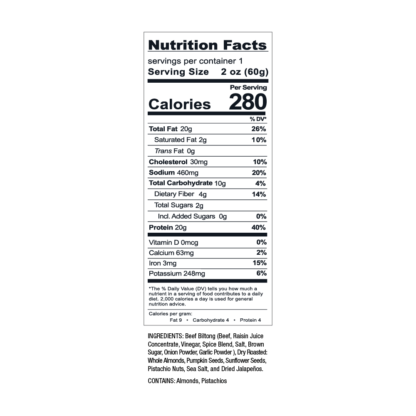 Live life knowing that you’ve got easy access to 20 grams of tasty protein and only 2 grams of sugar. I like spicy food. I like spicy snacks. This hits the spot! 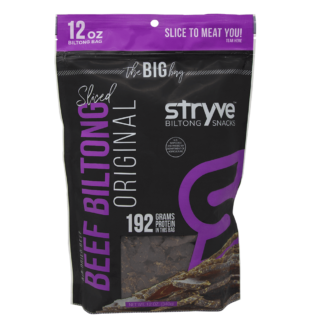 Tons of protein, fiber, and great taste. 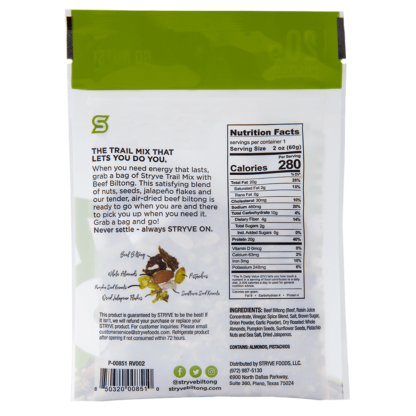 I’m a health enthusiast and the jalapeno trail mix supports my healthy lifestyle. 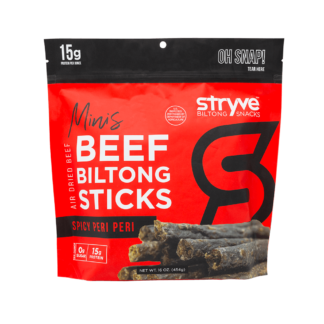 Also, the biltong (meat) is just the right amount of “spicy”, too. 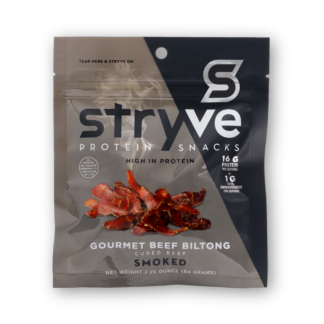 I will make this my snacking staple! Wow! Tons of taste, but not overpowering. 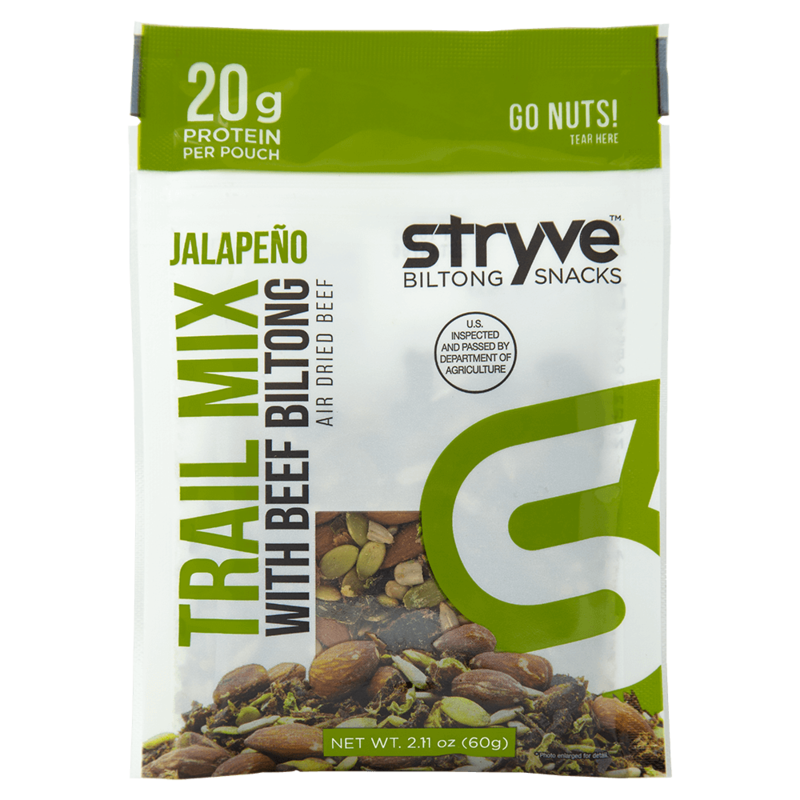 Spicy, but you can still eat a handful without needing a drink. 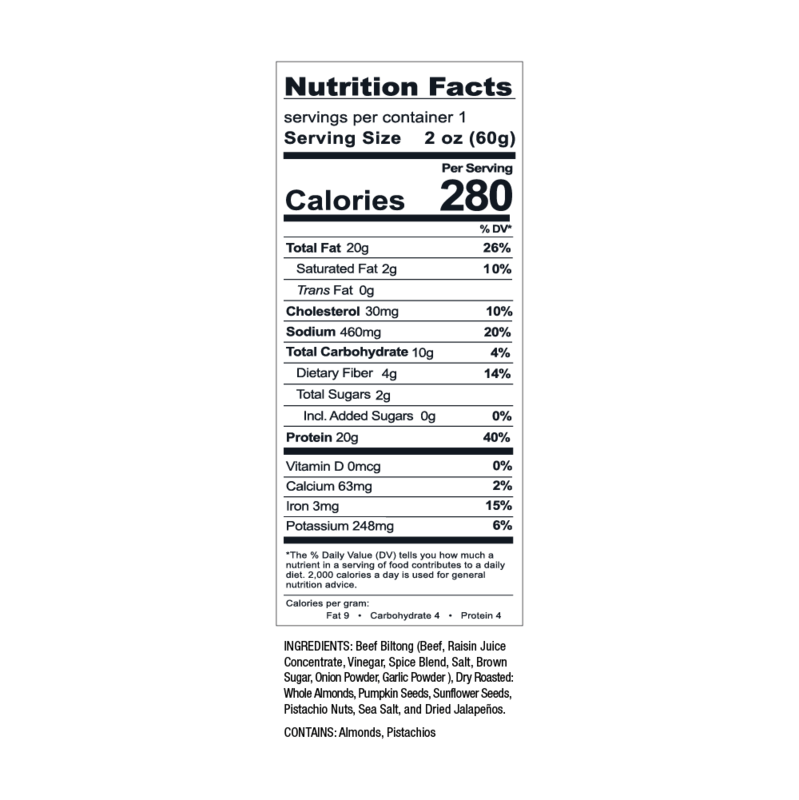 It’s a winner for taste but then I looked at the nutritional panel and realized it was good for me. 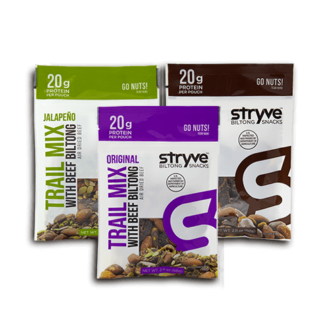 Hands down the best trail mix I have tried.